Though the human body is capable of incredible feats, it’s far from infallible. Most people will experience, in their lifetimes, some form of oral surgery. Studies have shown that it’s very important to correct problems related to tooth alignment, tooth decay or complications with the jaw as soon as possible. Many routine procedures can be done quickly and painlessly, allowing the patient to continue having a beautiful, healthy smile. Some procedures, however, are more complex and require the right combination of training, preparation and skills. Not long ago, when you lost a tooth your options were to either get a fixed bridge that latched onto adjacent healthy teeth, or removable dentures that rested on the gums. Both solutions were far from perfect, and led to a number of problems. Today, we have dental implants, which offer a permanent solution for patients. Though the track record for successful dental implant surgery is excellent, potential complications can still occur, both during the surgery as well as post-surgery. With dental implants, a replacement structure is installed, usually with a titanium screw, directly inside the patient’s jawbone. The implant fuses with the jawbone, a process called osseointegration, providing the same solid connection that a natural tooth has. To complete the procedure, a fitted crown is also attached to the implant. Though more than 95 percent of all dental implant procedures are completed without complications, problems can still arise. Potential issues include infection, fractured implants, incorrect positioning, damage to the surrounding tissue, insufficient bone mass or even bad reaction to anesthesia. Being aware of what can go wrong allows dental professionals, including graduates of a dental assistant program, to react swiftly and smoothly when necessary. Most of these problems are minor and can be resolved simply enough. If left untreated, however, they can cause significant hardships. If a dental implant fails, a second procedure can usually be attempted after the area has had time to heal. A dental professional will be able to assess the state of the mouth and recommend a course of action to the patient. Post-surgery, patients must be vigilant for infections, since everything they eat or drink enters the body through their mouths. Good dental hygiene is important to prevent infections, which can threatened the long-term sustainability of an implant. In general, non-smokers and individuals with good hygiene habits are much better positioned for a fast recovery. When they are properly installed and then cared for following surgery, dental implants can last a lifetime. After the initial procedure, in which the implant is installed, the mouth heals, allowing the implant and bone to fuse. This can take about two to six months, depending on the patient’s habits and recovery speed. Once the mouth has healed, a dental professional attaches a crown to the implant to finalize the procedure. This requires reopening the surrounding gums, which means precautions must be taken to prevent infection. 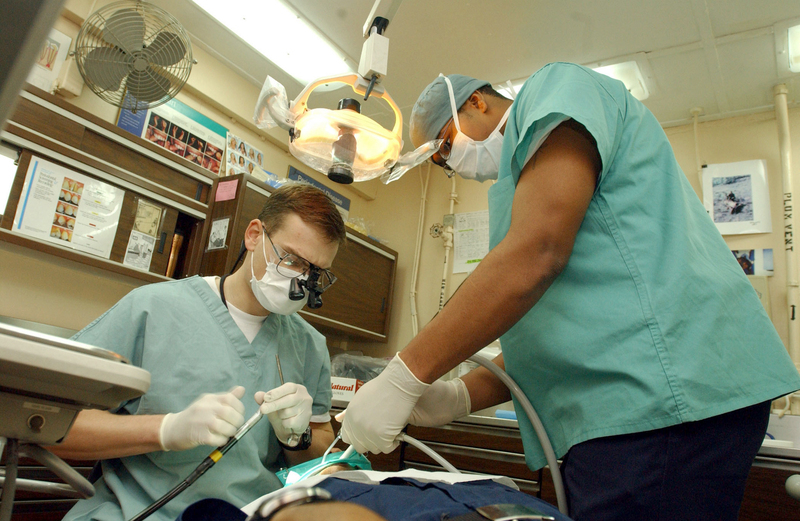 In general, oral surgery can be uncomfortable for the patient. It’s normal to experience some pain, minor bleeding, or bruising and swelling of the gums and face during surgery. However, a good dental professional and his team, including professionals with dental assistant training or graduates of dental assistant schools, will know how to put the patient at ease.